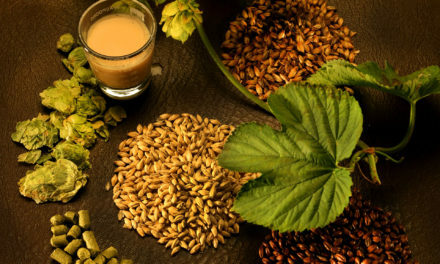 Beer is made from Malted grains, Water, Hops and Yeast. The grains are seeped in water (like tea) to make wort (pronounced wert). The wort is then boiled with hops too add bitterness. After that, yeast is added which converts the sugars into alcohol and Co2. Step 2: Boil, adding hops (the flower of a climbing plant), giving the bitter taste. Step 4: Bottle and wait about 2 weeks. Drink! The first two steps are called brewing and it takes a morning. Step 3 is called fermentation and takes about one week. Step 4 is called bottling and conditioning and takes about a week or two. Make a sugar syrup from grain (usually malted barley) and water. The process is called mashing and the syrup is called wort. Total time – about 3 hours. Or, buy already prepared malt syrup in kit form (usually 1.5kg or 3kg tin of concentrated malt syrup – enough for 23 litres of beer), and mix with hot water. Total time – about 30 minutes. Boil vigorously for about 60 to 90 minutes. During the boil add hops (the flowers of a climbing plant) to make it bitter, give it flavour and aroma. The vigorous boiling sterilises the wort, helps hop oils to dissolve, and allows haze-forming proteins to form lumps and settle at the bottom in the wort at the end of the boil (called hot break). Cool the wort, using one of a variety of methods. Total time – an hour or so. Mix in oxygen by splashing, rocking, etc. Add yeast, close the fermentation vessel and fit some form of air trap (usually a pipe going into plain water). This prevents nasty bacteria from spoiling your beer. Ferment for a week or so. 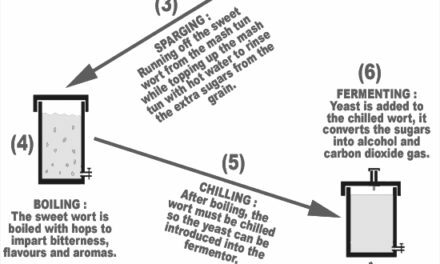 In this process, the yeast consumes the sugar and oxygen in the wort, and produces alcohol (the kick) and carbon dioxide (the bubbles). It also provides a lot of the taste, flavour and aroma. Step 4: Bottle the beer (called bottling), wait a week or so (called conditioning). Drink! Bottle the beer in returned beer bottles, adding a little sugar (called priming sugar) to each bottle to allow the yeast to ferment a little more. Cap bottles with new caps, using a tool called a bottle capper. Let the beer settle for a week or so. During this time the beer will build up pressure (bubbles) and hazy proteins, yeast particles, etc., will settle at the bottom of the bottle and leave a clear beer. Refrigerate, and drink within the next 3 months or so. Filter the required amount of water or boil and cool to remove chlorine, etc. Adjust salt levels by adding normal salt, Epsom salts, Chalk or Gypsum. Adjust pH level. Add required amount of dry malted barley (about 4kg for 23 litres of beer). Temperature should drop to about 65°C. Let it steep for about 90 minutes. In this time, enzymes within the malted barley will convert the starches into sugar. This process is called mashing. Slowly drain the sweet wort from the grains, spraying hot water over the grain mixture. It should run off at a slow rate, taking about one hour to drain off 23 litres. This process is called sparging. Rather than mashing, one can use ready prepared malt syrup in kit form to create the wort. It doesn’t taste as good as a full grain beer, but a good kit beer can make a decent beer. 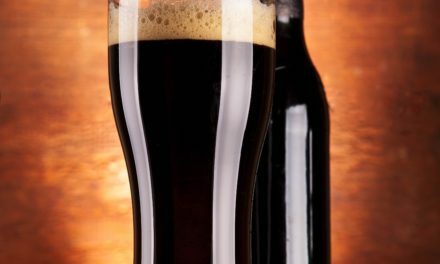 Boil enough water, and for a 23 litre batch, mix in one 1.5kg tin of concentrated malt syrup and about 1kg of ordinary brown sugar, or preferably use a 3kg tin of concentrated malt syrup – for a much better tasting beer. The proportion of sugar to water is important – it influences a lot of things in the process, i.e. alcohol level, sweetness, etc. The level of sugar is expressed as Specific Gravity, or SG – being the weight of the mixture at say 20°C, divided by the weight of pure water at the same temperature. It is measured, using a glass instrument, called a hydrometer. Boil vigorously for about 60 to 90 minutes (preferably 90 minutes). Hops impart a bitter taste to beer. Hops contain all sorts of chemicals and oils. The most important one is the level of alpha-acids in the hops (usually in the region of 3% to 9%). To fully extract the bitterness, an amount of hops (called bittering hops) are boiled in the wort for the last 60 minutes or so of the boil. The level of bitterness is usually expressed as IBU’s (International Bittering Units). For example English Ales (Bitters) vary between 30 and 60 units. Lagers vary between 10 and 30 units. Castle Lager is about 18. It helps hop oils to dissolve – the longer the boil, the more dissolves. To determine how much hops to use, see Appendix B. Or, use a counterflow chiller (a copper pipe inside a bigger hose pipe, connected is such a way that cold water flows in one direction around the outside of the copper pipe, and the wort flows in the opposite direction through the pipe, cooling down as it flows. Wort should be cooled as fast as possible (total time about an hour or so). Yeast needs oxygen to flourish. All the oxygen normally present in water has been boiled away. Mix in oxygen by splashing, rocking, or using an aquarium pump, etc. 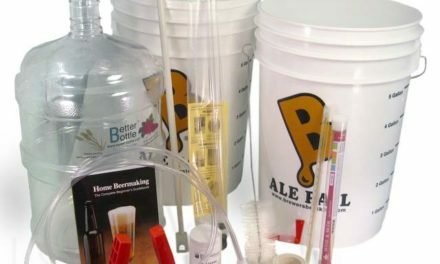 Liquid yeast – prepare a yeast starter a few days before brewing. Add yeast to cold wort, measure the gravity (a typical ale would be about 1.040), close the fermenting vessel and fit some form of air trap (usually a pipe going into plain water). This prevents nasty bacteria from spoiling your beer. During the fermentation, the yeast consumes the sugar and oxygen in the wort, and produces alcohol (the kick) and carbon dioxide (the bubbles). It also provides a lot of the taste, flavour and aroma. Bottle the beer in sterilised beer bottles, adding a little sugar (called priming sugar) to each bottle to allow the yeast to ferment a little more. Cap bottles with new caps, using a tool called a bottle capper. Let the beer settle for a week or so. During this time the beer will build up pressure (bubbles) and any remaining hazy proteins, yeast particles, etc., will settle at the bottom of the bottle or keg and leave a clear beer. Join the Wort Hog Brewers! Make sure you follow the guidelines for absolute hygiene and sterility. 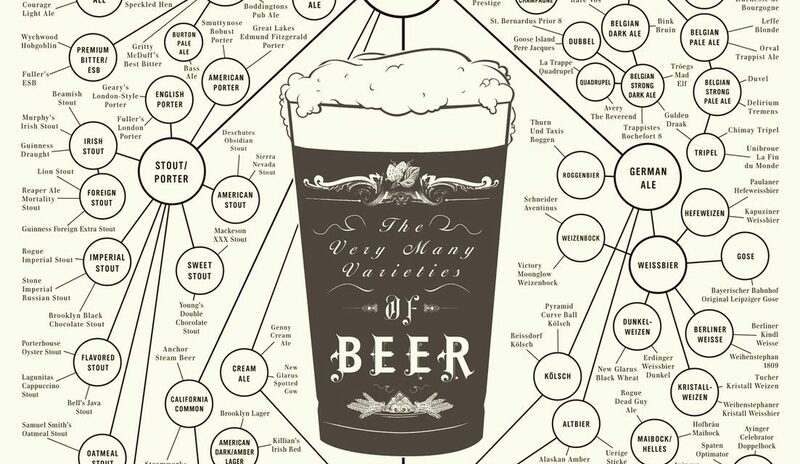 Read the appropriate section in your good beer-brewing book.